What's it like to live in a Lake Erie lighthouse? Bring water. It’s easier to get to Sheila Consaul’s summer home by boat than by foot. It sits at the edge of an Ohio state park 30 miles east of Cleveland. “Unless you have a boat, the only way to get here is to park in Mentor Headlands Beach parking lot, walk out through the dunes area to the beach itself, walk along the beach, and then you have to get up on the breakwall,” she says. The jagged rocks make you feel as if you’re hiking up some hill – until they straighten out into a line, leading to the white, square lighthouse with the red roof. It has five floors and four staircases. Video: Take a tour of Consaul's lighthouse. Consaul, 59, lives in the Washington, D.C., area. On the day we meet, she’s wearing a jacket covered in lighthouses. 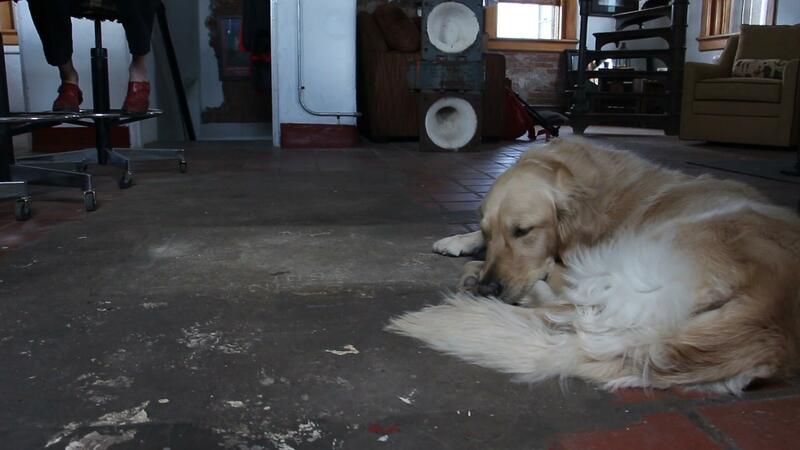 Her friendly Golden Retriever, Lucy, joins us as we tour the lighthouse. Consaul bought the lighthouse in a government auction. The National Historic Lighthouse Preservation Act of 2000 allows the U.S. Coast Guard to get rid of lighthouses it deems unnecessary for navigation. Since 2002, 125 lighthouses have been transferred to other federal agencies, local governments, state governments, non-profits, and the public – with more available every year. When no non-profit stepped up in 2009, the Fairport Harbor West lighthouse went to auction. “I equate it to eBay for lighthouses,” says Consaul. Three bidders defaulted on their offers before Consaul won the lighthouse, which she purchased in 2011 for about $71,000. Then the real work started. The lighthouse hadn’t been lived in for more than 60 years. Between 1925 – when it was first lit – and 1948, three keepers lived in the lighthouse. Consaul believes 1948 is when the lighthouse beacon was first lit electronically, putting its keeper out of a job. The National Weather Service also maintains a weather station out of the lighthouse, providing temperature, wind speed, and other metrics in real time. But despite its status as a functional lighthouse, it’s not yet functional as a modern home. The National Weather Service device on top of the lighthouse generates real time data, including temperature and wind speed. The lighthouse is completely off the grid. Consaul rewired the whole thing and connected it to a generator for electricity -- but there’s no running water. “I’m still working at finding the appropriate water system that will both clean incoming rain water that I can store for usage," she says. "But even the more challenging part is I have to find another component to clean the outgoing water." For now, Consaul carries water and ice in addition to food and gas whenever she goes to the lighthouse. Once the water challenge is solved, she hopes to rent out the three-bedroom, three-bathroom house while she’s back home. Antiques fill the house. A quill pen sits on a table near a candle, as if someone just finished writing a letter by candlelight. Hanging in the kitchen is the front of a crate – Consaul believes it held the lighthouse’s first refrigerator in 1943. 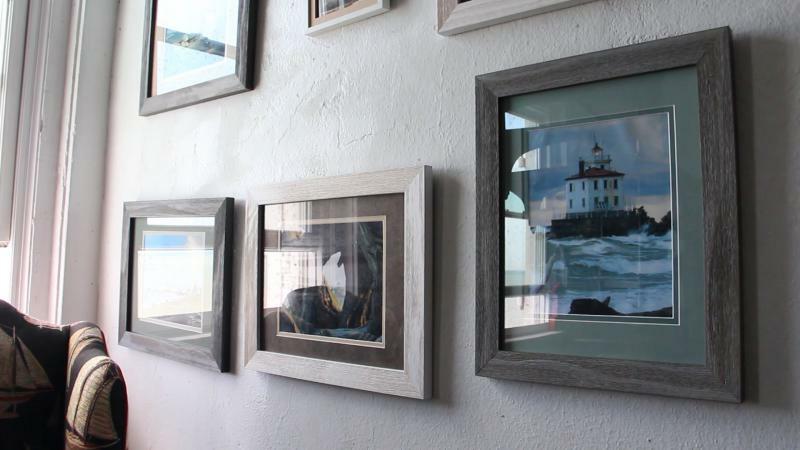 Consaul also mixes in lighthouse memorabilia she receives – endless photos of the lighthouse, posters, a lamp. Back when Consaul purchased the lighthouse, her friends and family thought she was crazy. So did folks in Fairport Harbor, a village of about 3,200. To overcome skepticism from the locals, Consaul began hosting an open house to celebrate the lighthouse’s birthday: June 9, 1925. She’s also recruited local volunteers to help with the restoration. 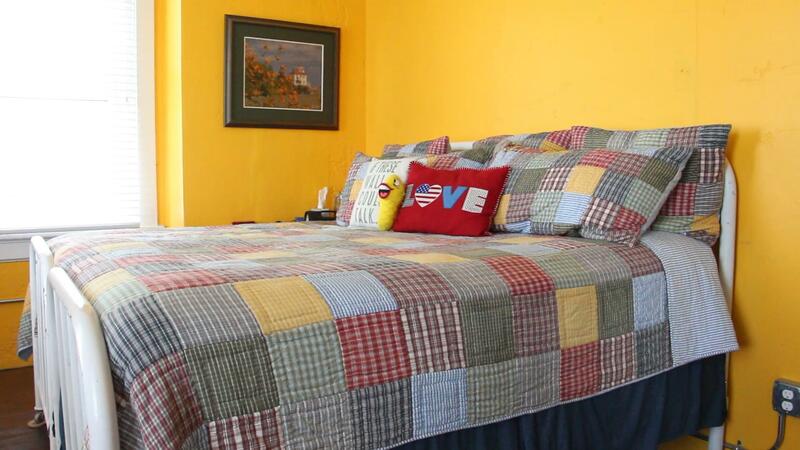 Consaul says it’s all been a labor of love for what she calls the perfect summer home. “When I first bought it, I told people, ‘Ask me in five years whether this is the best thing or the worst thing I’ve ever done,’” says Consaul. Watch a video story of Consaul's lighthouse here. When you think of a summer home, you probably think of a big house right on the beach, overlooking the ocean. But some people dream of a less conventional place to spend the summer…like a Lake Erie lighthouse. Here's more about our visit to Sheila Consaul's lighthouse. "Anyone there? Please, tell us - we're all tired and we're all hungry. Please come back!" Fake distress calls like this one placed via marine radio can sound identical to real ones. And the U.S. Coast Guard 9th District, which covers the Great Lakes, takes every call seriously. But the number of fake calls has skyrocketed this year. A child calls in a false distress call to Coast Guard Sector Lake Michigan. Before Flint, there was Walkerton. Did we learn? Before water contamination emergencies hit Flint, Mich., a crisis in Canada became deadly. 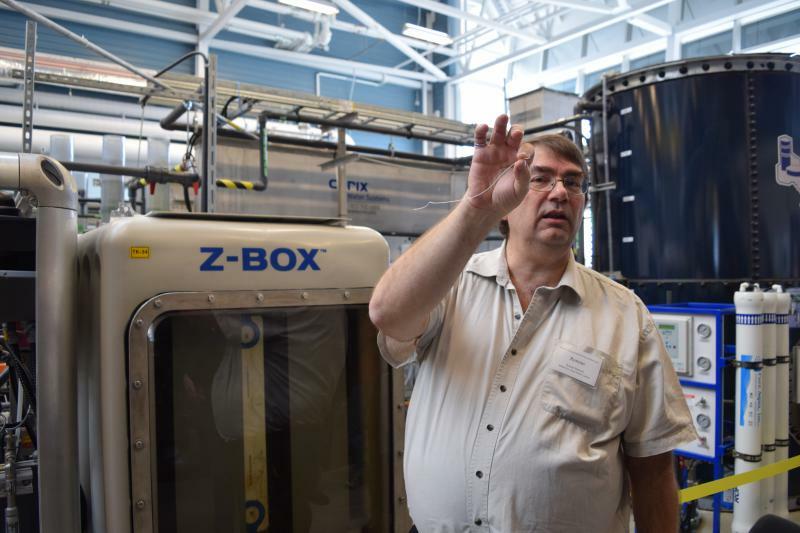 When E. coli invaded the drinking water in Walkerton, half of the town became ill and seven people died. That led to a turnaround in the way the community treats its water and trains workers. But a question lingers: Does Walkerton’s tragedy still resonate in the U.S.? Great Lakes Today is funded in part by a grant from The Joy Family Foundation and HSBC.